About Your Job: You will be providing support to the Corporate Sales Manager (CSM) and the Corporate Sales Executives (CSE) in AU & NZ to achieve and exceed annual sales targets. You will be responsible for the creation and delivery of MI reports to track and identify the performance of both global and locally contracted clients, including CSE activities to identify the actions undertaken to address any underperformance. You will be the local product champion for the SME product and QMICE engaging with both head office and local stakeholders. 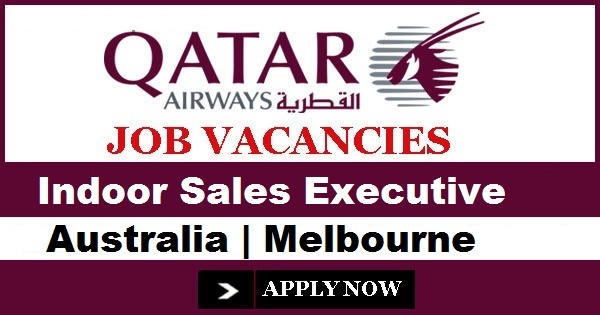 You will provide continuity of administrative functions for corporate segment, ensuring proper documentation and governance as well as management of corporate systems and databases and co-ordinate and manage Qatar Airways corporate hospitality opportunities. Develop, maintain and deliver a bi weekly and monthly corporate reporting suite. Data to include but not limited to revenue data from internal QR systems and weekly sales activities from Galaxy, and from these reporting suites, analyse and provide insight into changes and opportunities for QR to take corrective action on underperforming clients. To be successful in this role, you will need a trade or vocational qualification combined with a minimum of three years of job-related experience. You will have worked in a pressurised environment with a focus on targets and revenue generation. You will be a confident and articulate communicator with strong organisational skills and the ability to identify and exploit sales opportunities.